Icelandic music queen releases her ninth album, Utopia. Witchdoctor receives a vast number of press releases announcing new videos, songs, albums and tours, but we choose to let you know only about a select few. 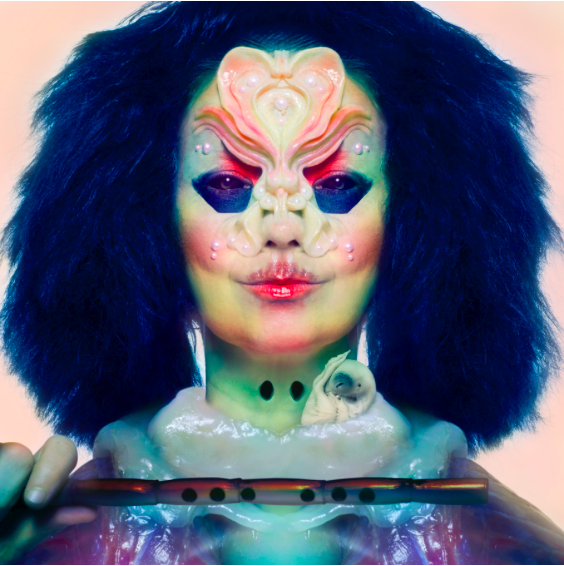 From now on, you can expect to hear from us about the best, and most interesting, tours and albums, and Björk’s Utopia certainly fits that criteria. Firstly with her 1980s group The Sugarcubes and then across nine albums that set new standards of originality and artistic vision, Björk has created a body of work that, love her or hate her, has not only withstood the test of time but remains singular, despite her immense influence on other – especially female – artists. Utopia the album features 14 songs co-written Arca, the Venezuelan electronic artist who has produced Kanye West and FK Twigs and who also produced all but one song here. Björk formed a twelve piece Icelandic female flute orchestra, which she arranged and conducted. She also wrote an arrangement for Hamrahlíðarkórinn, a choir conducted by Þorgerður Ingólfsdóttir. The album was edited and structured by Björk on Protools, and engineered by Bergur Þórisson, Bart Migal and Chris Elms. It was mixed by Heba Kadry and Marta Salogni and mastered by Mandy Parnell. Björk will also be the first artist to use cryptocurrency in a meaningful way, making her album available to pre-order and buy with Bitcoin (BTC), Audiocoin (ADC), Litecoin (LTC) and Dashcoin (DASH) – all now valid currency in her online store. The first track from the album was released last month, titled ‘The Gate’ and with video directed by Andrew Thomas Huang.